Following on from our previous assembly and workshops, today we had another visit from Sam Mason. She bought along with her not only Andy and his huge double bass, but also Kirsty with her violin. These three wonderful musicians led workshops with each of the Year 2 classes. The children revisited and extended the composition they wrote together last visit. 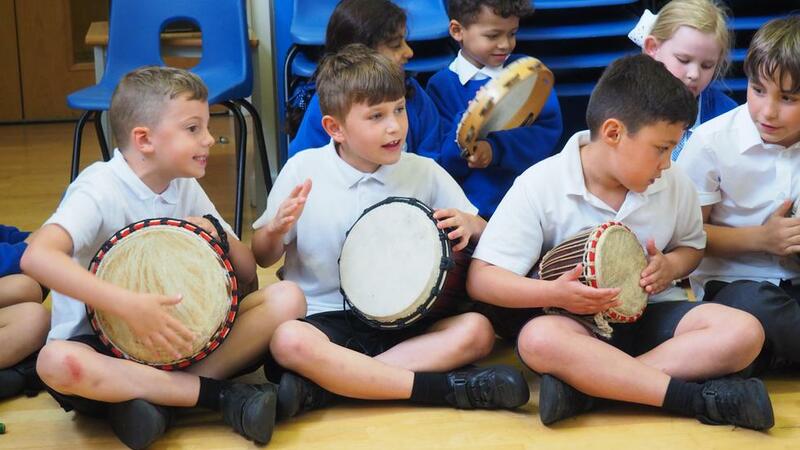 Today they were bought to life through the instruments and the children's own percussion accompaniments and songs. I had the privilege of hearing some of the final ensemble. 120 children, each with instruments, the double bass, piano and violin. It really was a fantastic sound. 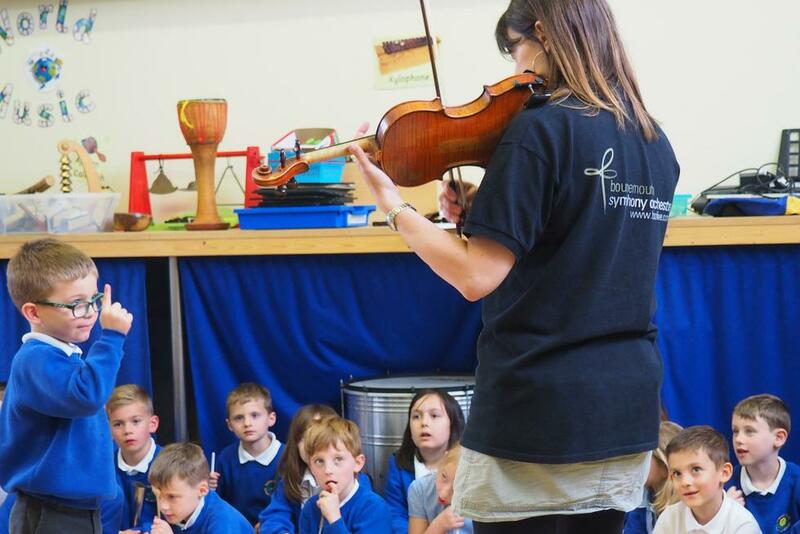 What is even more exciting is that the children of Year 2 will be going to The Lighthouse in Poole to hear their composition being played by the Bournemouth Symphony Orchestra next month. 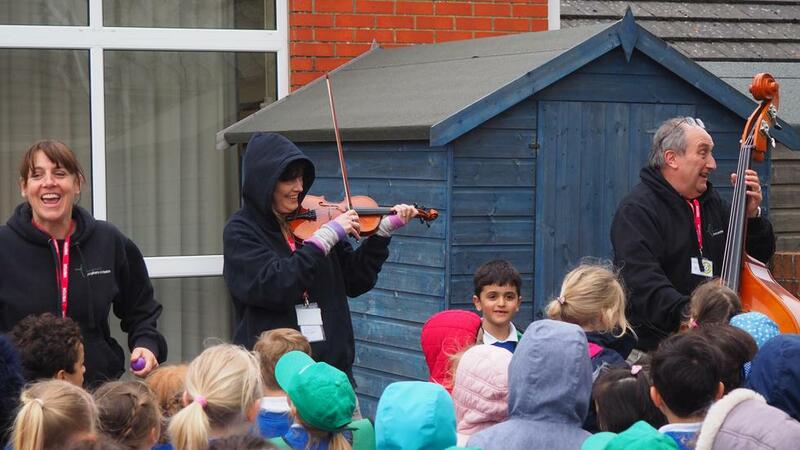 Despite a slightly rainy lunchtime play, the musicians went out onto the playground again to entertain and involve the children in music making. 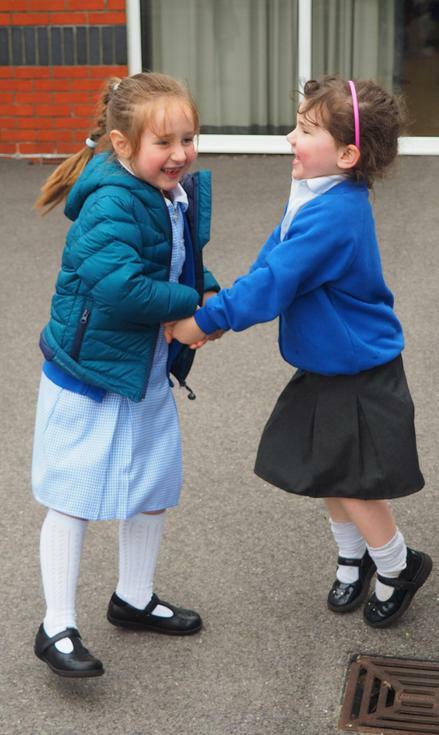 A large crowd gathered and joined in with the singing, many reception children dancing along to the music. The afternoon saw the Year 1 classes given the opportunity to get really up close to the largest and smallest instruments of the orchestral string family. The musicians led a lovely session linked to our learning about Jack and the Beanstalk. 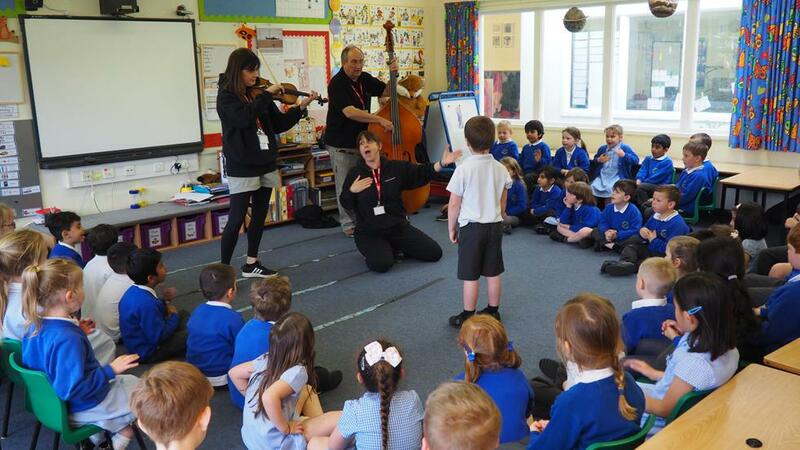 The violin producing the growing beanstalk sound, being conducted by various children. 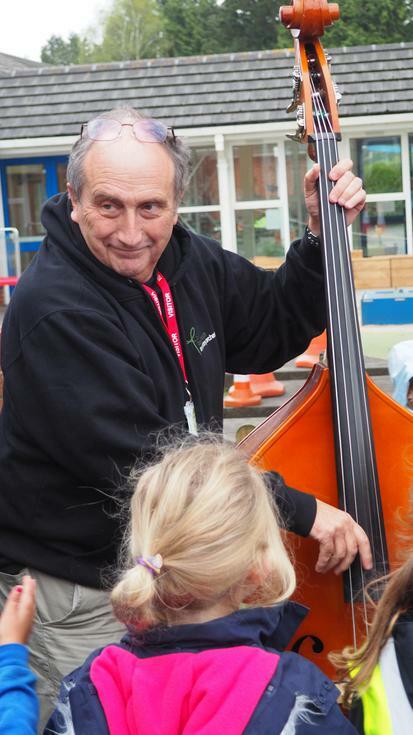 Then the rather scary, angry sounding double bass as the giant, again directed by a Year 1 child. We then created a song using the giant's well known phrase, adding actions and body percussion. 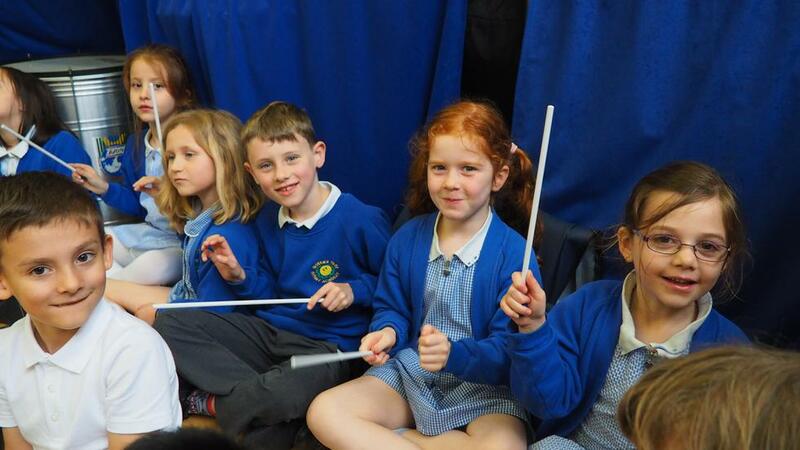 The children came away very excited and saying how much they love music.